If you cannot get enough of the mind-bending antics of the Bloodborne universe, then now you have the chance to use Soulcalibur VI’s character creator to get your brawl on...good Hunter. The YouTube channel RajmanGaming HD has used the (apparently robust) character creation system to put together a special combat between a generic Hunter and Father Gascoigne from Bloodborne. 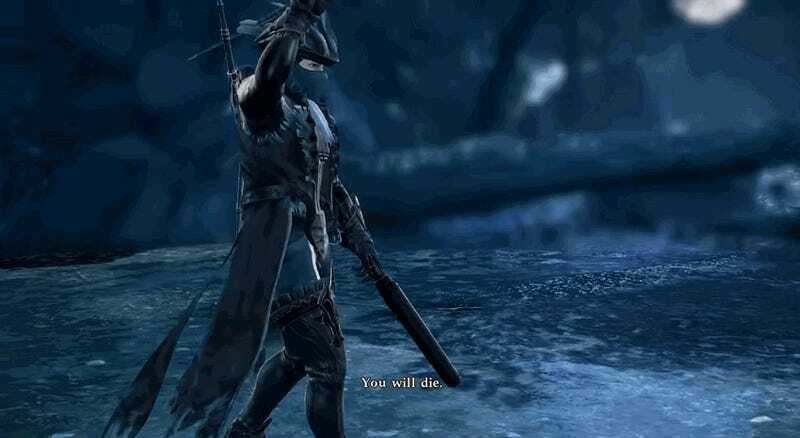 For many players, Father Gascoigne was a moment where Bloodborne really got great. That boss fight has multiple stages, a lot of mid-fight dialogue, and is just generally very hard. It’s the kind of fight that I, personally, wish I could experience again for the first time. Of course, this is a fighting game, and we’re not “reliving” anything, but there’s something very neat about seeing two Hunters fighting in a completely alien universe of combat. Both characters look surprisingly faithful to their original versions. The move sets that they have, Geralt for the Hunter and Astaroth for Gascoigne, are also extremely appropriately. Who would have thought that Bloodborne and Soulcalibur VI would match up so well? The same YouTube channel has some other great custom matches, including Bowsette vs Ganondorf and Goku vs Piccolo.